Pick up in style! 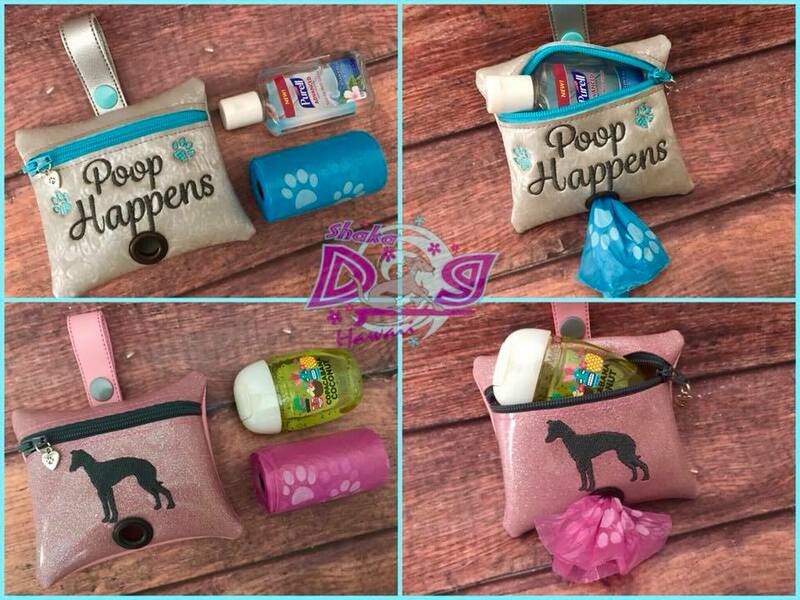 Our pleather Poopie Pouch poop bag dispensers are a stylish way to carry and dispense your pets clean up bags! 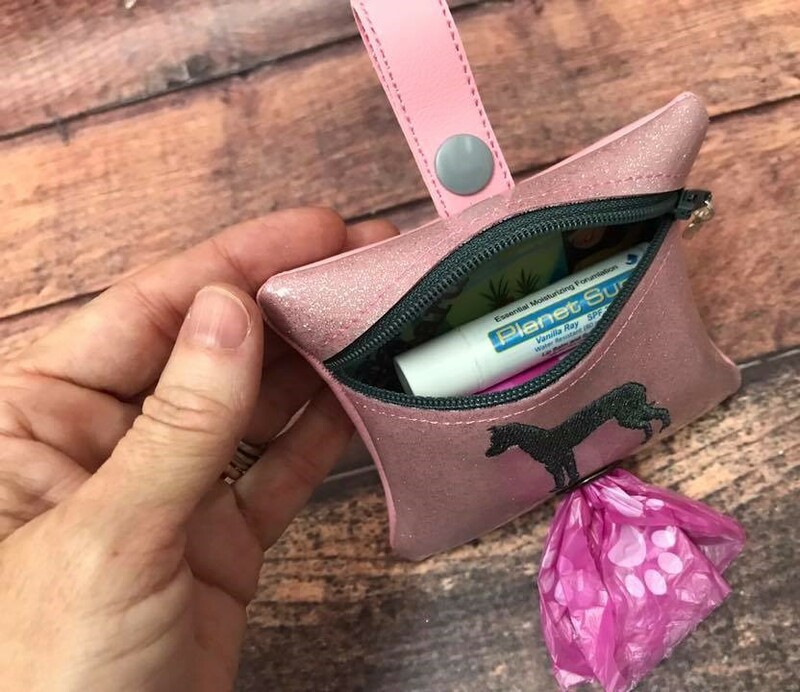 Made from cruelty-free pleather. These hold two rolls of standard size pick up bags, or one roll plus most 1oz. 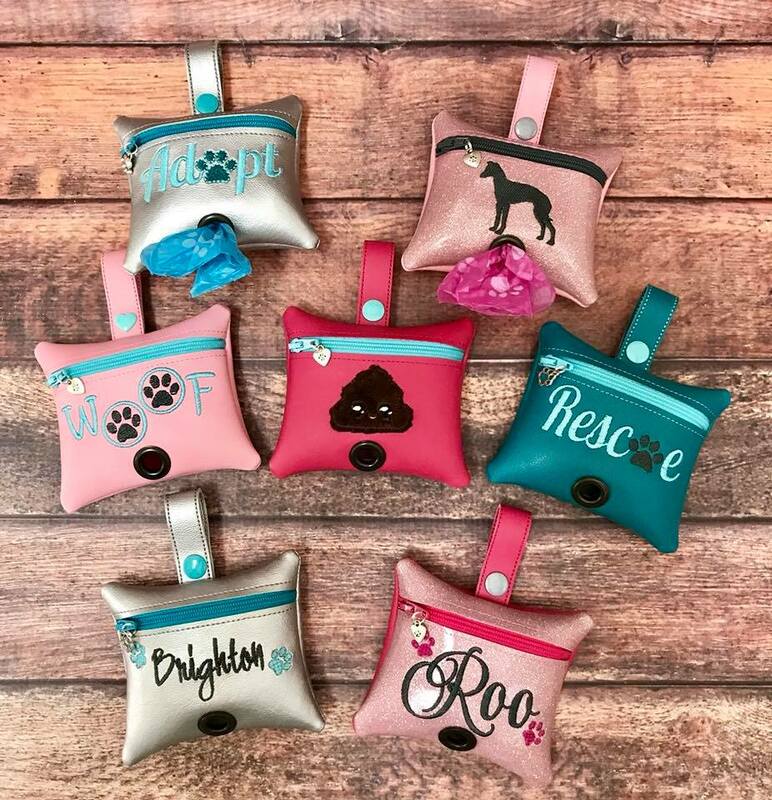 bottles of hand sanitizers to help keep hands clean while out and about, on walks, or at the dog park! 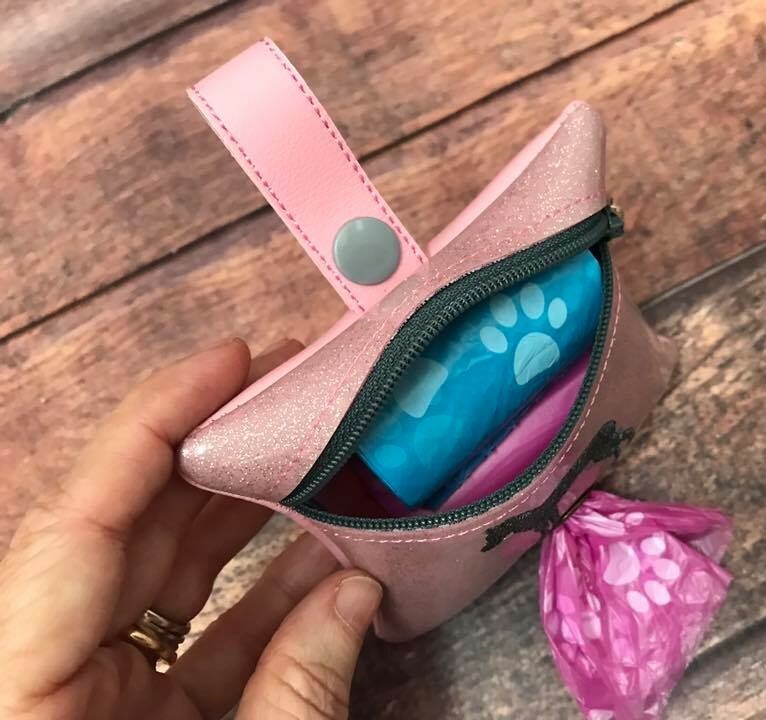 The tab at the top allows you to easily snap it to a leash handle or bag strap and the heavy duty grommet allows for easy dispensing. Measures approximately 4" x 3.5". One roll of bags is included; other accessories pictured are not included. Key Leash - Toile Hounds Purple/Pink 10"